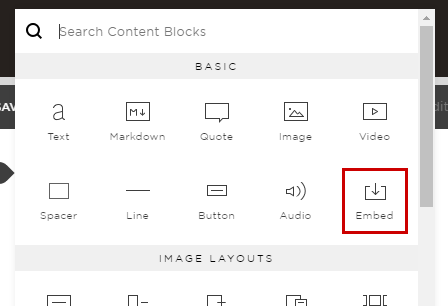 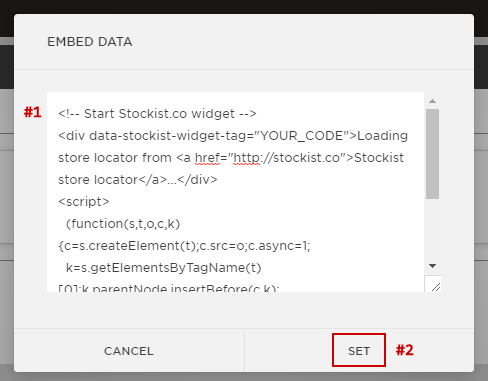 Copy your customized embed code from the Get embed code page of the dashboard, paste it into the Embed Data pane, then click Set. 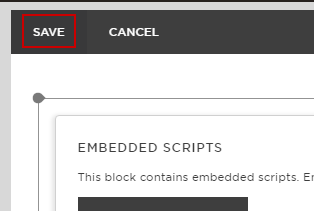 You'll see a message that embedded scripts are disabled while you're editing your site - this is normal. 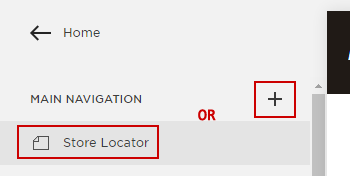 The locator won't display while you're editing your site, but don't worry - the locator will show up once you view your site live. 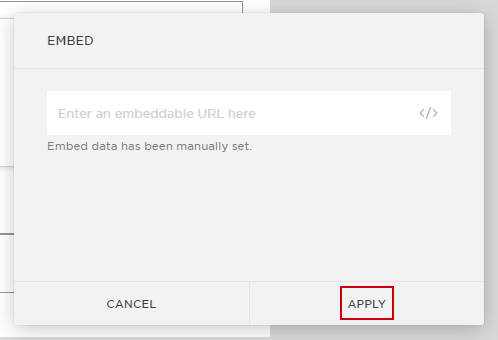 To see your locator live, you can log out of your site's admin panel, or else try opening your site in a private or incognito window in your browser. 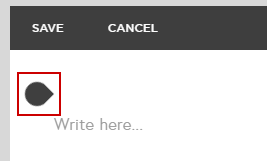 If you run into any trouble, just click Contact Us at the top of this page and let us know - we're here to help!